What can be done about South East Queensland's traffic congestion? Winter's steady approach may have you thinking about nasal congestion. However, if you commute to Brisbane, Gold Coast or anywhere else around South East Queensland (SEQ), you're probably dwelling on a different kind of congestion. It's no secret that the region's transportation infrastructure isn't necessarily up to par. With a rising population and ill-equipped public transit system, Queensland officials are feeling the pressure to accommodate. What does the average SEQ commute look like? About 500,000 trips were taken throughout SEQ every day in 2012. To better understand SEQ's traffic management challenges, it's important to highlight the region's demographic trends. A study conducted by the Queensland Government Statistician's Office showed that as of June 30, 2013, SEQ's total population stood at 3.27 million. Between 2012 and 2013, Brisbane grew by a little more than 20,000 people, while the Gold Coast increased by about 11,000 and Moreton Bay rose by approximately 8,500. According to the Queensland Government, an average 500,000 trips throughout SEQ were taken every day in 2012. Will public transit provide salvation? Queensland authorities have recommended that simply constructing more freeways may seem like the easiest solution, but it that doesn't necessarily mean such measures are sustainable. Engineers are responsible for designing transit development projects that minimise commuter disruptions, and some are finding that implementing alternative solutions is often the best route to take. For instance, experts at the Queensland Department of Transport and Main Roads (TMR) presented alternative measures to easing traffic congestion and establishing a resilient transit system. One recommendation is to deploy a state-of-the-art ramp singling system called HERO along the Pacific Motorway and South East Freeway. Tests have demonstrated HERO's ability to enhance motorway travel speeds, dependability and efficiency. How do you plan on getting into Brisbane? Nine extra trains will travel each hour from Gold Coast to Brisbane in peak morning commuter hours. A bus or train station will be less than a 10-minute walk from nearly anywhere in the CBD. Bus capacity will double from the north and south into the CBD. Basically, the idea is to attract commuters using cars to use public transit, thus reducing congestion. It's a project that's stirring quite a bit of excitement, and it's interesting to think about the impact the BaT project will have. While a large part of Queensland (approximately 80 per cent) is contending with a severe drought, the southeast region has experienced heavy rainfall that caused flooding in many townships. There's a certain criteria stormwater harvesting systems must adhere to. This poses a question of whether engineers knowledgeable of water management can find a way to reroute southeast Queensland's storm water to the state's drought-affected areas. On a practical level, such a concept is incredibly ambitious, but is it viable? The Brisbane City Council developed a plan for water engineers to apply when drafting stormwater harvesting plans. The purpose of the outline is to help council members and other officials deduce whether their infrastructure could feasibly support such systems. Once the purpose of stormwater harvesting systems are understood, cities can determine if installation is a reasonable endeavour. The Brisbane plan asserted that the feasibility of a stormwater harvesting solution is largely based on how much heavy rainfall a particular area receives on a consistent basis. Implementing a complex irrigation and distribution system may not be economically sustainable if infrequent or sporadic storms are the norm. How can cities harness the power of stormwater? Not surprisingly, Brisbane's suitability test starts with assessing slope and drainage, filtration and discharge rates, land availability and vegetation. For example, it's preferred that the slope of the application site should be less than 15 degrees. In addition, ground contents (clay, sand and ledge) will impact natural water flow. From there, a water balance calculation can be made. This consists of identifying regular water supply and dividing it over demand. The challenge with managing stormwater is that it usually contains pesticides, hydrocarbons and other substances that compromise the cleanliness of the resource. For example, poorly-designed systems can cause sewage to mix with runoff. A study conducted by The University of Queensland's Advanced Water Management Centre aggregated 23 samples from six urban stormwater harvesting systems throughout Australia. Human adenovirus was found in 91 per cent of the specimens. Filtering and distributing stormwater to drought-affected areas isn't an easy prospect. Some experts would stray away such a project. What can be done to make these initiatives feasible? Education and innovation. Working with research-focussed engineers can make for progressive projects that improve the livelihoods of Queensland's residents. Every farmer relies on a steady water supply to sustain his or her operations. 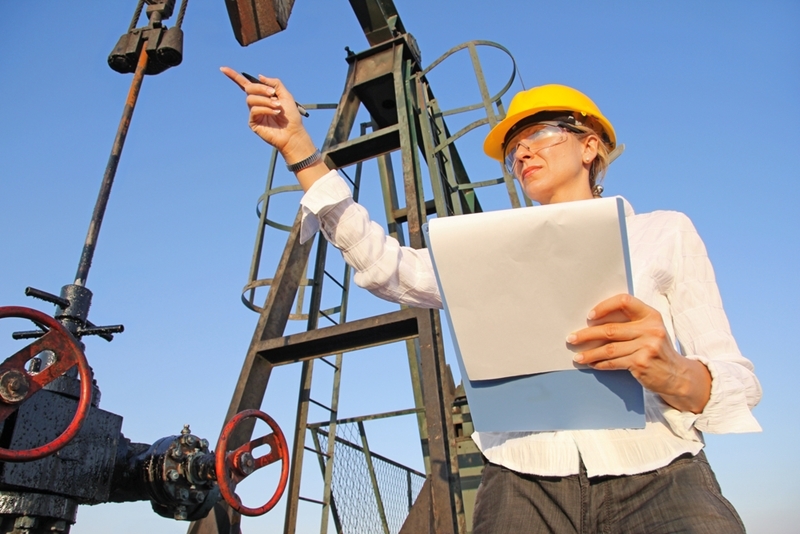 The resource is an essential part of life - it doesn't take a scientist to figure that out. However, the world does need engineers knowledgeable of water conservation and distribution. Right now, Queensland is in need of such experts. When will drought relief come? 80 percent of Queensland is experiencing severe water shortages. Billy Byrne, minister for agriculture and fisheries, released a statement on behalf of the Queensland government, stating that four council areas were recently added to the state's list of municipalities officially suffering from drought. These inclusions mean that more than 80 percent of Queensland is experiencing severe water shortages. The state government has responded to this challenge by offering farmers in certain municipalities Drought Relief Assistance. "The Palaszczuk Government made a commitment before the state election in January and I have made numerous announcements since promising that we will not leave Queensland's drought-affected farmers in the lurch," said Byrne. For some people living in Queensland, particularly in the southeast, it may be difficult to imagine that a drought is even on the state's list of concerns. In an April 30 press release, Police, Fire and Emergency Services Minister Jo-Ann Miller issued Severe Weather Warning, citing heavy rainfall throughout Southeast Queensland. "As a result, areas along the coast from about the Sunshine Coast to the New South Wales border could experience localised flash flooding," said Ms Miller. This activity brings up an interesting question, one that water engineers have been trying to answer: Is there some way to use stormwater and redistribute it to drought-affected areas? Is such an idea feasible? 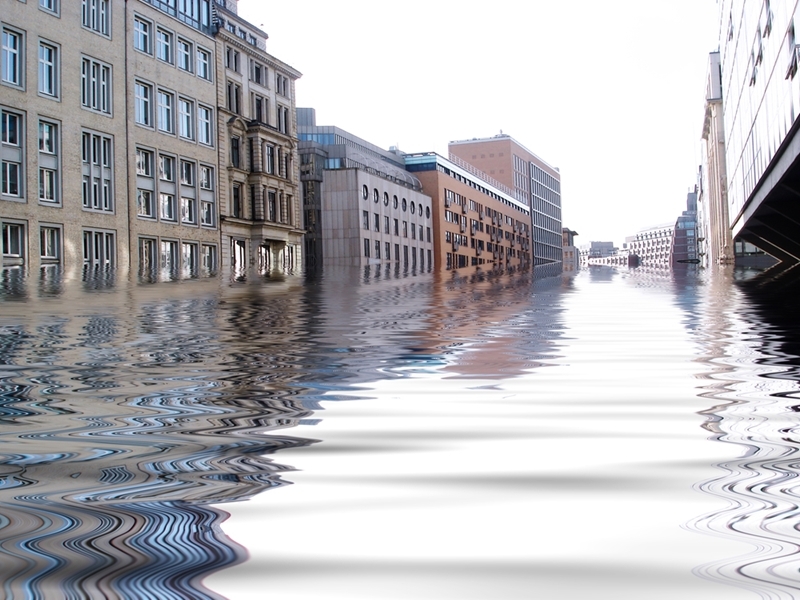 Although the idea of re-routing stormwater to regions experiencing severe water shortages is quite attractive, some may challenge the concept's practicability. Can engineers find a way to reroute stormwater? Suppose a team of engineers wanted to figure out a way to distribute stormwater in the Sunshine Coast to the Banana shire, one of Queensland drought-declared regions. By road, the distance between these two areas is 505 kilometres. This distance may cause the team to write off a water distribution project as unfeasible. Even with modern assets and resources, it would probably take an incredible amount of energy to allocate the stormwater, thereby making such a hypothetical endeavour unrealistic. However, this is only one example. Engineers who aren't daunted by the limitations of modern technology may accept the challenge and figure out a way to establish efficient water distribution networks that span over great distances. In Part Two, we'll discuss a stormwater management plan detailed by the Brisbane City Council and compare it with challenges such systems face. Brisbane's skyline could soon be changing, as the Queensland government looks to approve a radical new direction for the CBD. The Draft City Centre Neighbourhood Plan outlines the possibility of scrapping mandatory height restrictions in certain areas, which is exciting news for those planning tower blocks in Brisbane's busiest sectors. 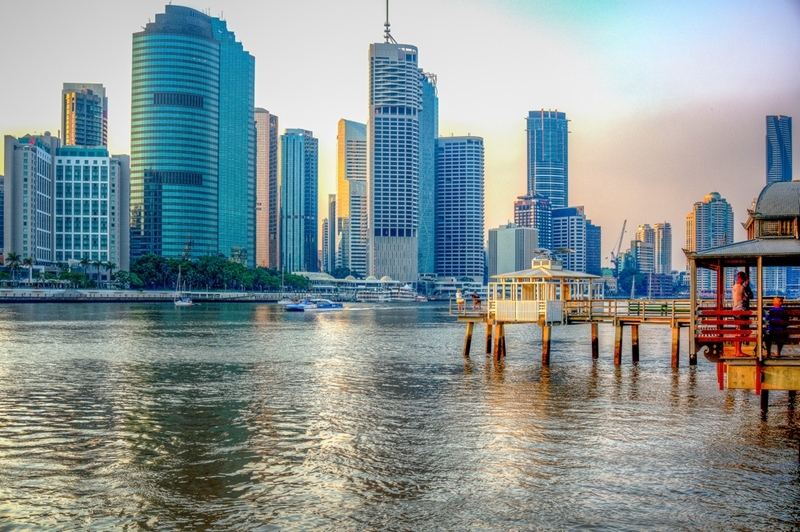 Brisbane City Council recently submitted the plans to the state government, which brings the scheme one step closer to fruition. Created under the Brisbane City Centre Master Plan 2014, the draft reform is aligned to meet growing residential and commercial needs in the burgeoning Queensland capital. The draft strategy focuses on the distinctive architecture category, driving public space investments in the business district and inspiring more innovative use of CBD land. The Council expects the five selected areas of the Brisbane CBD to be home to around 50 new skyscrapers over the next 20 years. Speaking to The Brisbane Times, Lord Mayor Graham Quirk said he believes this period of transformation will drive top-class architecture in the city, regardless of the number of actual projects on the go. Could Brisbane's skyline be about to change? Despite the proposed removal of mandatory height limits, skyscrapers in Brisbane are unlikely to climb to extreme heights. Any new buildings in the area will still need to comply with local aviation regulations. 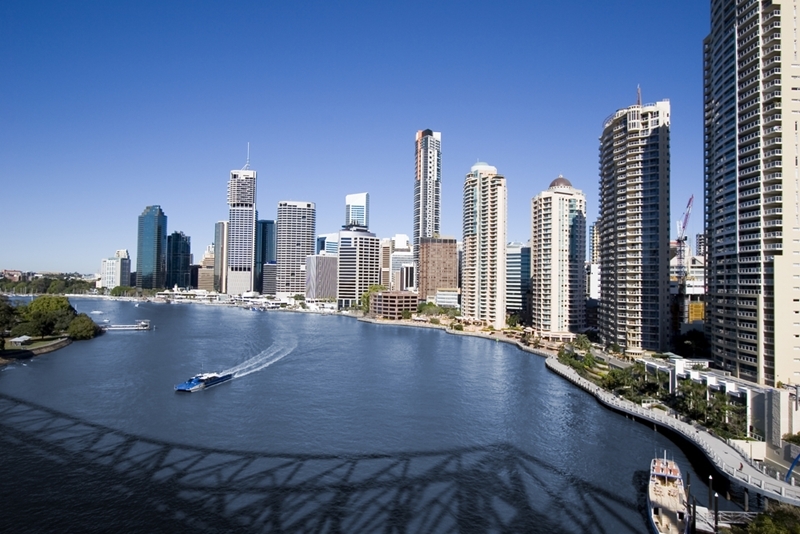 In Queensland, this law states that buildings in Brisbane cannot exceed 274 metres. However, what could change is where these towers are located as, under the Draft City Centre Neighbourhood Plan, taller buildings could be built anywhere - aside from the Quay Street or Howard Smith Wharves precincts. While the plan is still in its draft stages, the exciting prospect of higher skyscrapers could soon drive demand for more comprehensive engineering planning and strategies. Getting a building above a certain height is challenging, but with the right plans almost anything is possible. Mexican stand off at UDIA Golf Day! Despite the uncertain weather 140 enthusiastic urban development industry players got together at Palm Meadows Golf Course to battle it out over 18 holes at the annual UDIA Gold Coast/Logan Corporate Golf Day. Burchills Engineering Solutions were proud to sponsor hole number 1 complete with a Mexican themed marquee. Burchills team members, Nicky and Jenny hosted players with a Mexican stand-off game which targeted some of our key projects. With a 40 year local history providing civil and structural consulting engineering for iconic Gold Coast projects, there were plenty of targets to aim for. Congratulations to our fast drawing amigo, Brian Henningsen from Australand who took out our hole prize of a 3 course dinner for 2 at the Palazzo Versace. Thank you to everyone who participated we look forward to seeing you again at the next year’s event! The clients and guests of Burchills Engineering Solutions took to the night sky last Thursday as the company celebrated it’s relaunch of the Burchills brand and 40 years of heritage. Held at Skypoint Q1 “the top of the Gold Coast” guests enjoyed great views, fine food, cold drinks, and great company. Managing Director, Steve Coote thanked clients and industry partners for their support noting the significance of the evening’s celebrations “Tonight is a special night for the company as we celebrate the return to local ownership and the Burchills brand, and also the significant 40 year heritage and service history of our team…. There is 267 years of continuous service held by just 10 members of our 30 strong team“. Steve also took the opportunity to outline the future plans for Burchills Engineering Solutions “We will be focusing on our strengths in helping to get projects up and running in the property and urban infrastructure markets, leveraging our depth of experience and local knowledge for the benefit of our clients, and mentoring our young talent to be the next generation of “go to” professionals”. Rob Molhoek, MP for Southport also spoke congratulating the firm, outlining local infrastructure projects & initiatives, and explaining the improving economic & tourism outlook for the Gold Coast & Queensland. Rob made particular note that employment growth in Queensland was the strongest in Australia and within 12 months Queensland’s GDP growth is expected to reach 6-7%. The formalities of the evening culminated in the cutting of the Burchills 40 year cake by Tony Parker, industry icon and 40 year service Burchills team member. If you would like to have Burchills Engineering Solutions working with your team, please contact Steve at steve.coote@burchills.com.au. Thank you for visiting our trade booth at the UDIA National Congress and for playing ‘Burchills Bullseye’. We thoroughly enjoyed meeting you all and watching you try your luck at hitting our projects (with some being more successful than others!). Congratulations again to our lucky prize winners. With more than 250 years of experience, you are in safe hands with Burchills Engineering Solutions. We have completed projects all around Australia and are willing to meet you wherever you are. Whatever your specific requirements are, we aim to have them satisfied. Where relevant, we would welcome the opportunity to discuss how Burchills Engineering Solutions could partner with you on your next project. Thank you again for your eager involvement at our Trade Booth. We look forward to meeting you again soon.